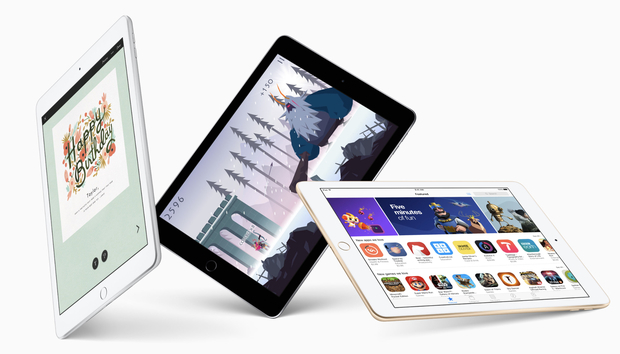 If you’ve been wanting one of last year’s regular iPads, today’s a good day to pick one up. Both Costco and Best Buy are offering some impressive deals on last year’s 128GB iPad with Wi-Fi, but Costco in particular is offering what looks like the best deal on Apple’s signature tablet. It’s Costco, so unfortunately you’ll have to be a member to take advantage of the offer. But if that’s no problem, you can nab the 2017 9.7-inch 128GB iPad with Wi-Fi for just $299.99. That’s $129 off of Apple’s asking price of $429.00, representing an impressive savings of around 30 percent. Even better, you can get the device in gold, silver, or space gray with the promotion, and you won’t even have to pay for shipping. The offer is valid today through March 5, and Costco is limiting the sale to two units per customer. If you’re not a Costco member, you might be interested in Best Buy’s offer of the same model for $369.99. That’s 60 bucks off Apple’s price, but it’s also $70 more than what you’ll pay if you’re lucky enough to be a Costco member. You’ll get free shipping with this deal as well, and you can also get the device in silver, gold, or space gray. Storage space is a precious commodity these days, but if you think you can wing it with less room, Best Buy is also offering the 9.7-inch 32GB iPad with Wi-Fi for $60 off Apple’s retail price. That means you’d end up paying just $269.99. The tablet comes with Apple’s powerful A9 chip, a 2048x1536 Retina display, an 8MP camera with that can produce video with a resolution of 1080p, and good ol’ Touch ID. We’re big fans of this generation of the iPad. In our review last year, we called it a “stripped-down version of the iPad Pro,” but don’t consider that a mark against it. For most people, in fact, we argue this model might be the better choice. “This iPad is great for families, schools, businesses looking for a point-of-sale system, and just anyone who wants a workhorse of an iPad without the bells and whistles of the more expensive iPad Pro,” we said at the time.